Ponderosa Pet Resort has a great team that can provide your dog with a bath, nail grind, brush outs and more. If your dog is boarding with us, we highly recommend a Go-Home Bath service prior to departure. Our dogs that stay with us and love to play usually could use a bath after playing with their friends. 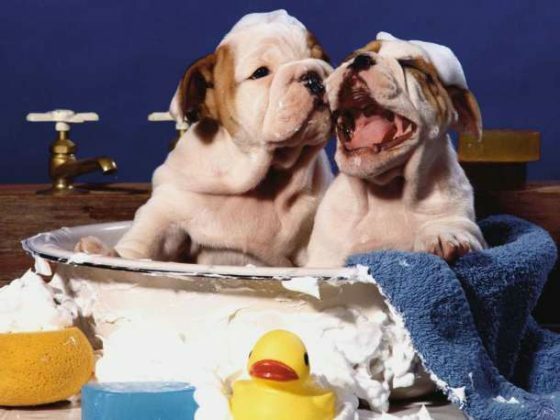 Our full service baths include pet safe, all natural shampoos and conditioners, light brushing and a fragrance. We also have other optional add-ons like blueberry facials, teeth brushing, FURminator services and more. Just ask our staff at check-in.